North Korea is blocking entry of South Korean workers into a joint industrial zone just north of the border, jeopardizing the last remaining sign of cooperation between the two foes. 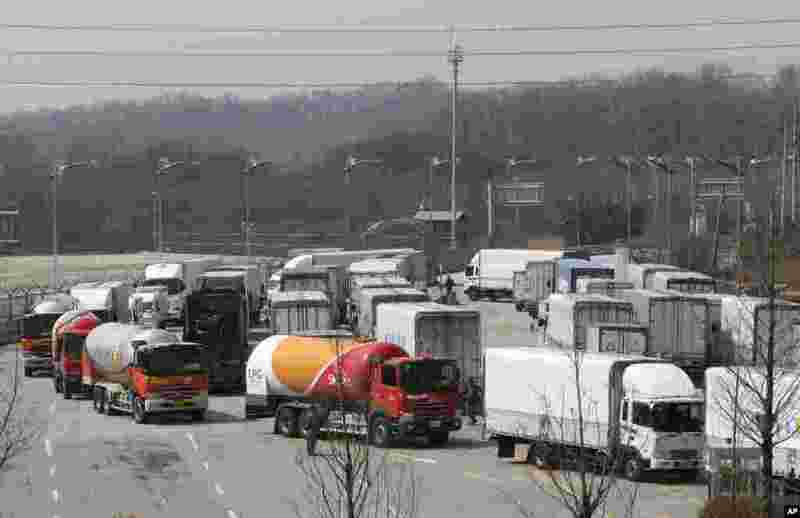 1 South Korean vehicles turn back after being refused entry to Kaesong, North Korea, April 3, 2013. 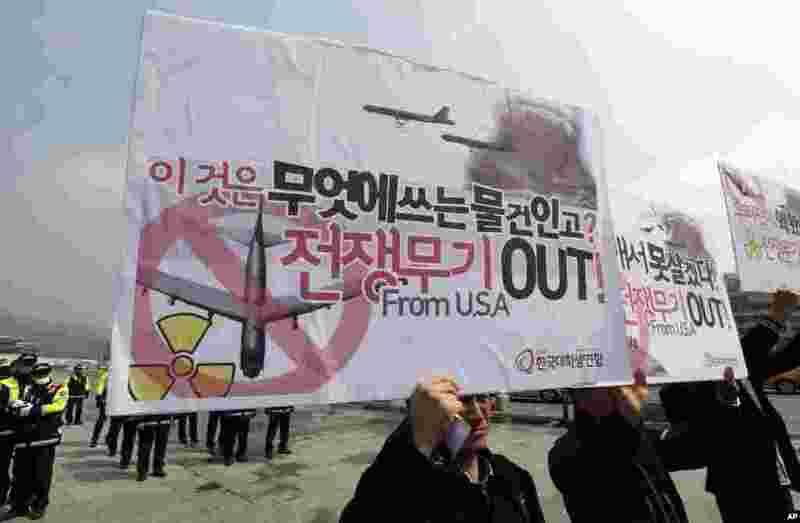 2 Anti-war protesters raise signs during a rally denouncing the joint military drills between the South Korea and the United States near the U.S. Embassy in Seoul, South Korea, April 3, 2013. 3 North Koreans attend a rally against the United States and South Korea in Nampo, North Korea, April 3, 2013. 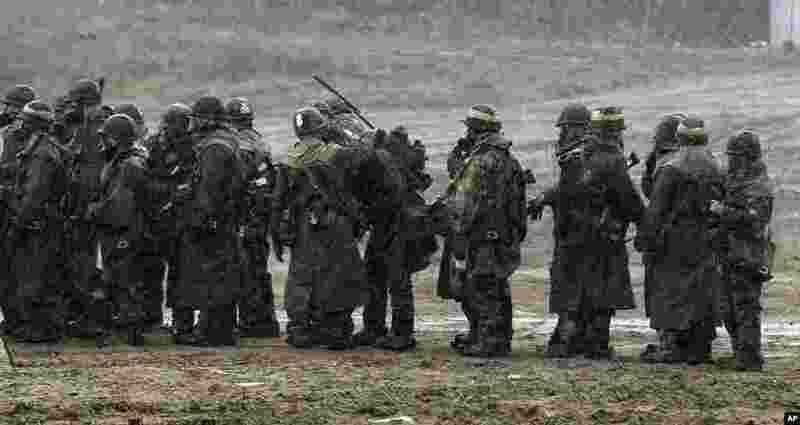 4 South Korean soldiers wearing gas masks gather during their military exercise in the border city of Paju, north of Seoul, South Korea, April 2, 2013. 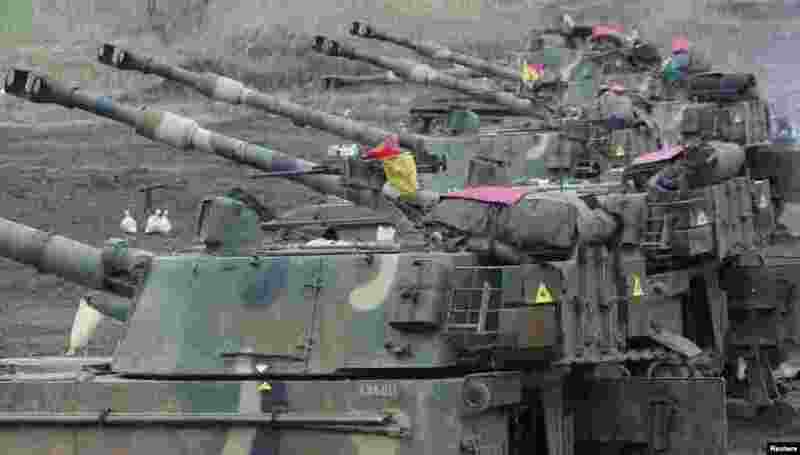 5 South Korean soldiers conduct field firing drills near the demilitarized zone separating the two Koreas in Paju, north of Seoul, April 2, 2013. 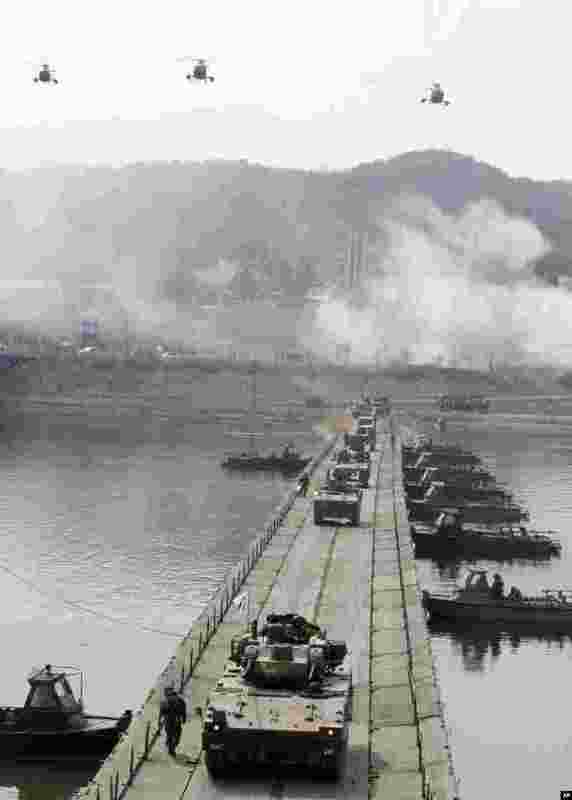 6 South Korean Army armored vehicles cross a pontoon bridge during an exercise against possible attacks by North Korea near the demilitarized zone in Hwacheon, South Korea, April 1, 2013. 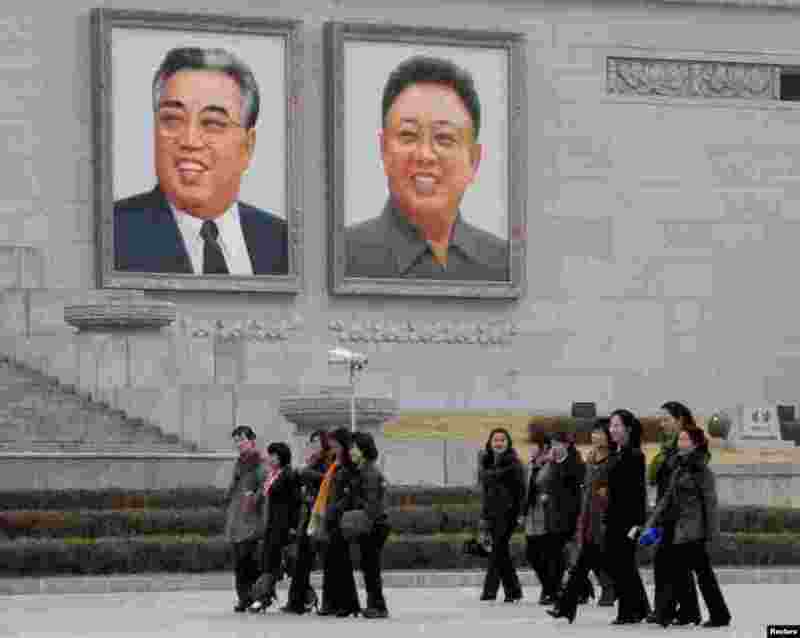 7 North Korean women walk in front of portraits of North Korea's founder Kim Il-sung (L) and late leader Kim Jong-il at Kim Il-sung Square in Pyongyang, in this photo provided by Kyodo, April 1, 2013. 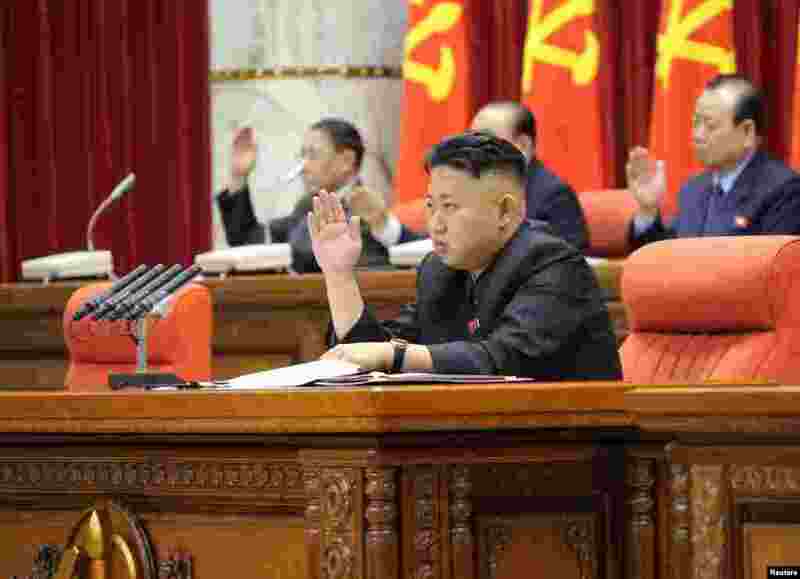 8 North Korean leader Kim Jong Un presides over a plenary meeting of the Central Committee of the Workers' Party of Korea in Pyongyang March 31, 2013 in this picture released by the North's official KCNA news agency. 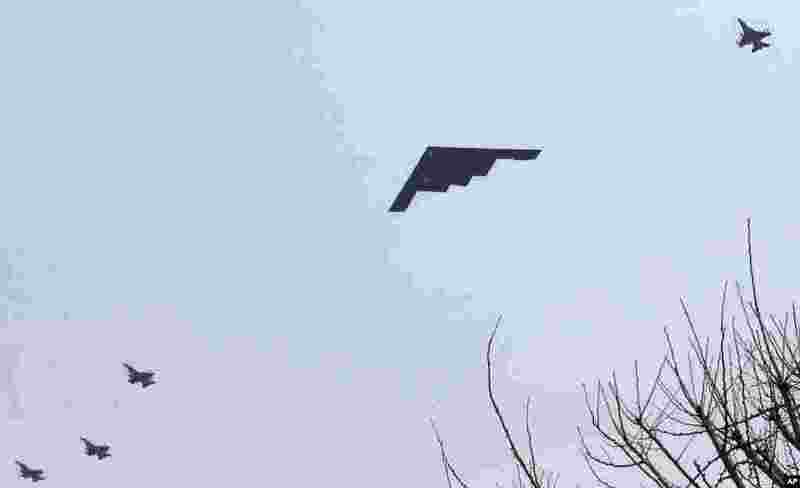 9 A U.S. Air Force B-2 stealth bomber flies near Osan U.S. Air Base in Pyeongtaek, south of Seoul, South Korea, March 28, 2013. 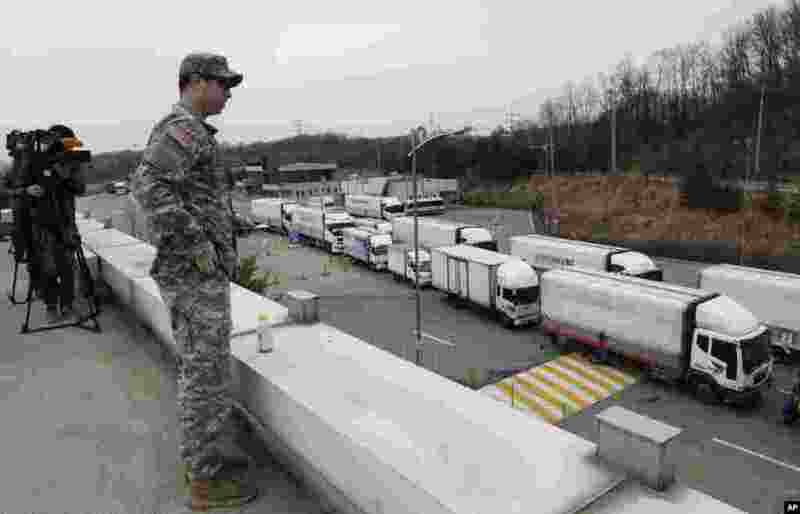 10 South Korean vehicles return from a joint industrial complex at the North Korean city of Kaesong as a U.S. Army soldier watches at the customs, immigration and quarantine office, near the Demilitarized Zone, March 28, 2013. 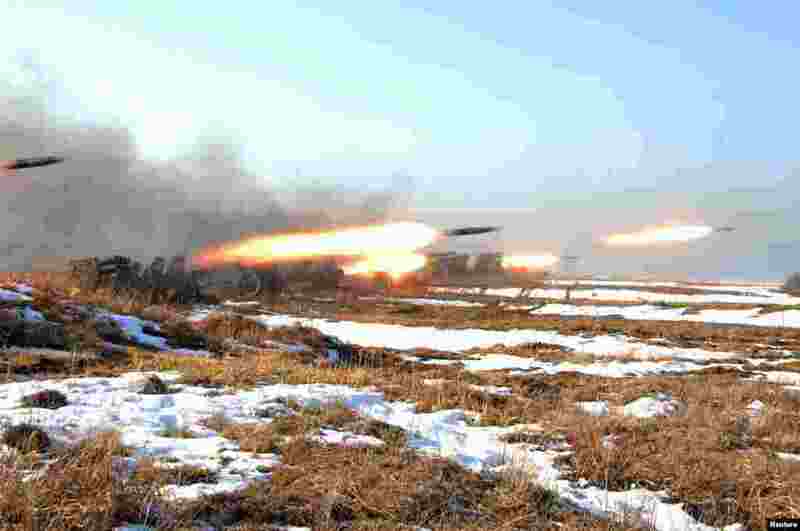 11 Soldiers of the Korean People's Army take part in landing and anti-landing drills in the eastern sector of the front and the east coastal area, North Korea, March 25, 2013.